You must apply for your full-time undergraduate course through the Universities and Colleges Admissions Service (UCAS). Students start applying from 1 September so make your application as soon as you’ve found the right course and university. If you can, make sure that your application reaches UCAS by 15 January. UCAS sends us all applications it receives after this date so you can still apply after January where places are still available. We can’t guarantee however that we’ll be able to give late applications the same consideration as earlier applications. You can transfer from another uni into many of our full-time courses in year two or three. Check our entry requirements for transferring students and then apply through UCAS. For nursing and midwifery applications, we'll contact you within six weeks to let you know if you are shortlisted for an interview. 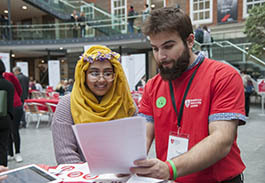 Help with UCAS - find articles and videos to support your application on their website. Your personal statement - guidance from our current students on writing your personal statement and making your application. 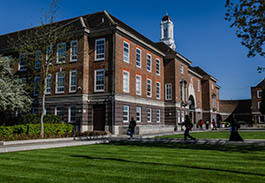 To study part-time on our undergraduate courses on a part-time basis then you need to apply directly to Middlesex using our Online Applicant Portal. When you create an Applicant Portal account, you can submit your application and track its progress. You can also upload your supporting documents, portfolio or show-reel and make subsequent applications. 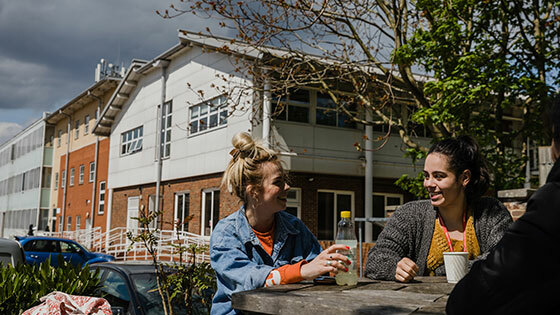 To transfer into a part-time course in year two or three from another university, you also need to create an account for our Online Applicant Portal. We ask for a combination of entry requirements that usually include a specific qualification, subject or grade that are relevant to the course that you're applying for. Find out general entry requirements. 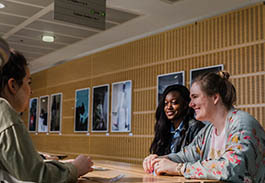 We might be able to recognise your work experience or previous learning as part of our entry requirements and even award it towards your degree. Find out more about what previous learning is eligible and how to claim. We welcome your application to study with us as a mature student. You are considered mature if you are over the age of 21 and you didn't go to university after school or college. We will consider your application on an individual basis and we may also invite you to an interview to get to know more about you. To take a year out, apply through UCAS to start your course after a year or defer your existing offer through UCAS to the next start date. If you've missed our October start date then you can choose from courses that are available to start in January. The timetable in year one is designed so that you'll catch up with other students in your year and start year two together. You'll benefit from the same curriculum, excellent quality teaching and learning, and access to facilities. The only difference is your start date. Check below if we offer your course with January start then apply using our Online Applicant Portal. You can apply for a place to study at Middlesex through Clearing from July and until after Results Day in August. You will be able to call our Clearing hotline before you get your results to explore your options. Get help and advice for your application including information on visas and immigration in our section for international students.